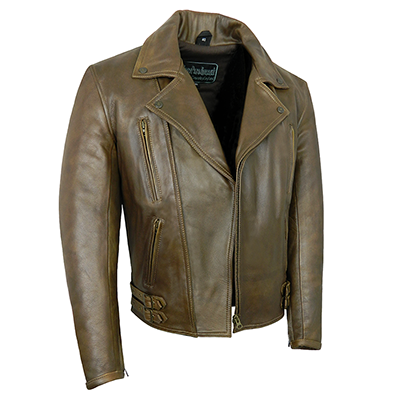 The Elite Patrol is a classically styled and beautifully finished leather bike jacket made in 1.2 - 1.3mm antique brown cowhide. With cowhide of this thickness you can ride with confidence knowing that it is supple enough to be comfortable and allow you ample movement while offering impressive abrasion resistance. The cotton-rich lining is also an important factor that not only allows for a comfortable riding experience, but also limits the damage caused to your skin in an accident. As cotton is a natural material and not man-made, it will not melt into your skin with heat friction in a slide down the road. A thin layer of thermal material lies between the leather and lining, further enhancing this jacket’s feel of luxury and helping to keep you cosy on cooler rides. Quality YKK zips, components and thread used throughout with double and internal stitching where needed. Four external zipped pockets, two internal pockets (one zipped) so there’s plenty of safe places for all your gubbins! And we’re not done with the safety features. Want some impact protection? The Elite Patrol has the option for fully adjustable CE memory armour all in place and ready to go. You can choose to purchase Viscotec CE memory armour for shoulders and elbows for this jacket which can be placed exactly where you need it for maximum benefit. The dense memory foam works fantastically to absorb the potential trauma transferred to your bones in an accident. 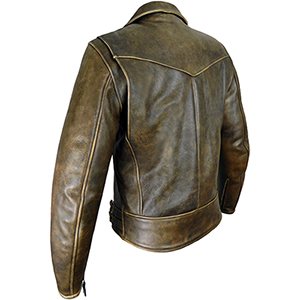 The feathered edges of the armour make it almost undetectable in looks and extremely comfortable to wear. There’s that word again – comfortable. 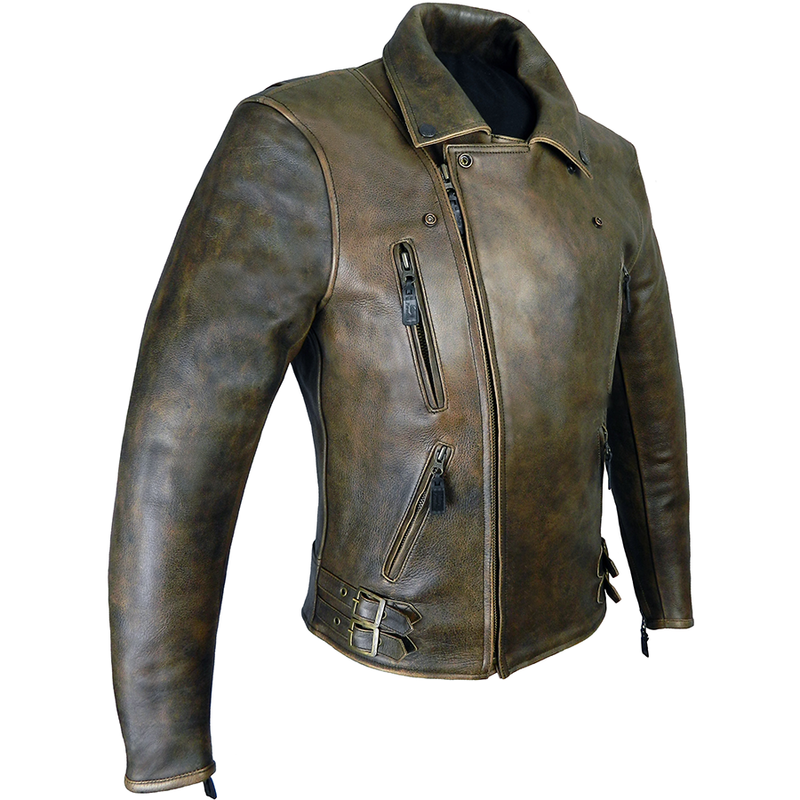 Everything about this jacket is designed to make you look cool while letting you just enjoy your ride in comfort without worrying about fit, armour in the wrong places, restricted movement and so on. Designed for bikers, BY bikers! “At the end of the world, there’ll be cockroaches and BP Patrol jackets. 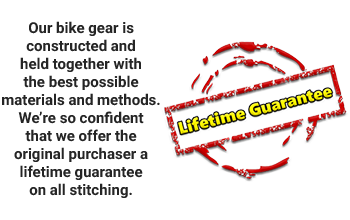 Amazing quality product, a genuine life-saver”. Phil (UK). “Bikers Paradise is way above its rivals in everything but price”. Tony (East Bridgford).